The London Film Festival is almost upon us for another year and that means film fans are set to be treated to top class movies. Big names have already been confirmed to be in attendance like Benedict Cumberbatch and Brad Pitt for the LFF 2014 film festival. Let's take a look at other celebs who will be in town to promote their latest films during the 11 day festival which runs from October 8th to the 19th. 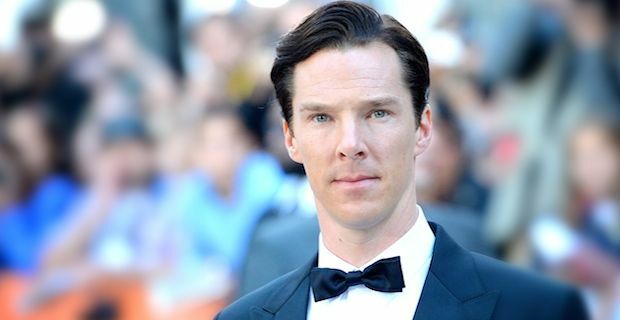 Cumberbatch will be promoting his newest flick The Imitation Game in which he plays British computer scientist Alan Turing. The film also stars Mark Strong and Kiera Knightly who will join Cumberbatch on the red carpet on opening night of the festival while The Imitation Game will be released nationwide on November 14th. October 16th sees a screening of the highly rated Foxcatcher which stars Steve Carell, Sienna Miller, Mark Ruffalo and Channing Tatum. The movie follows the dramatic life of Olympic wrestler Mark Schultz and it received plenty of warm praise when it was screened at Cannes earlier this year. Carell and Miller will definitely be doing their part on the red carpet to promote the film but there has been no confirmation yet as to whether Ruffalo and Tatum will be joining their co-stars. Brad Pitt fans, you are now officially on notice that the man himself will be in attendance on closing night, October 19th, for the premiere of his new flick Fury. It is a drama set during the second World War and Pitt stars as a sergeant leading his team of hard nuts on a deadly mission behind enemy lines. Edward Snowden's eagerly anticipated documentary Citizenfour is also set to be screened on October 17th and 18 at the London Film Festival 2014. It depicts a series of interviews between whistleblower Snowden and journalist Glenn Greenwald as he reveals stunning details of the NSA's activities. It is directed by Laura Poitras who previously directed 1971 which documented a raid of FBI offices in Pennsylvania.